So… the gas ran out for my BBQ one day, and I had my heart set on trying out a grilled banana recipe from Everyday Paleo. This is a pretty tasty and safe paleo dessert. By “safe”, I mean no sugar added! I highly recommend it if you’re craving something sweet after dinner or in the afternoon. ALSO, if your BBQ works, you can grill them! Turn on broiler (or BBQ). Cut bananas in half lengthwise with the peel still on. 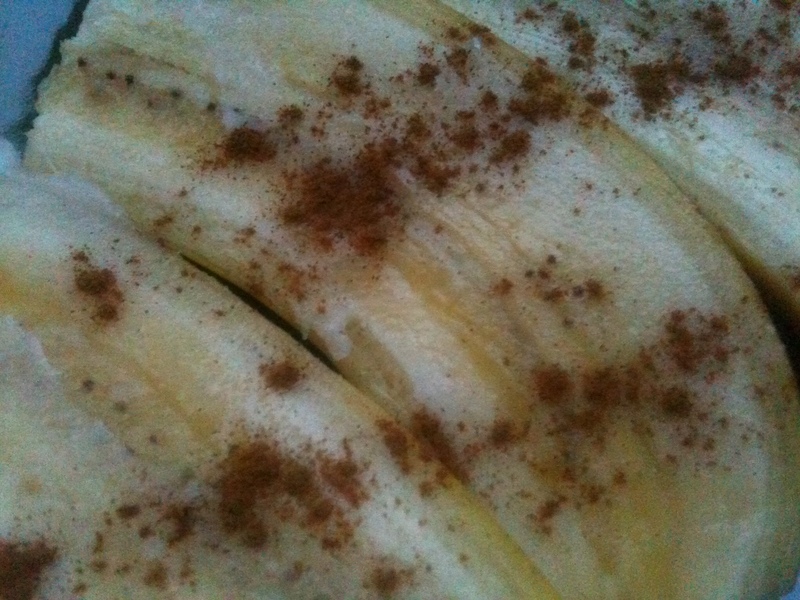 Brush banana side with coconut oil and sprinkle with seasonings. 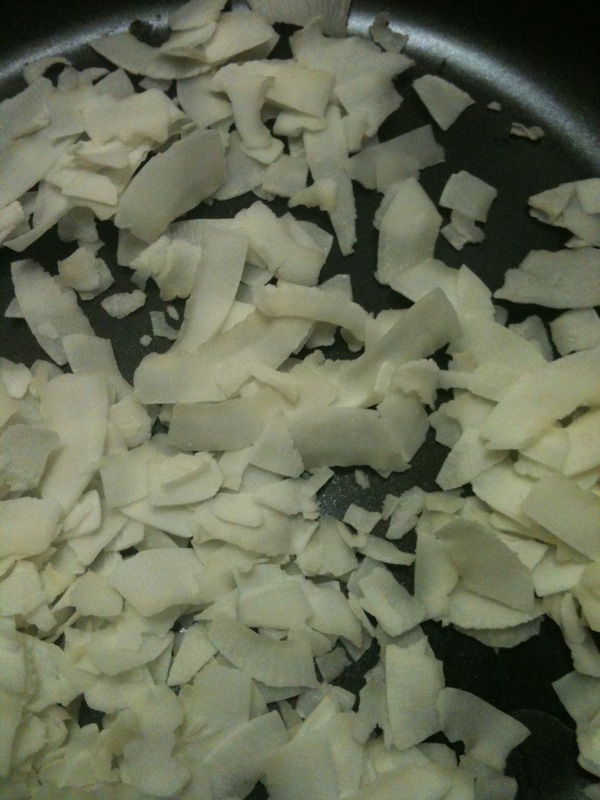 In a skillet, over medium heat, toast coconut flakes. Stand over them and shake around often or else they will burn. 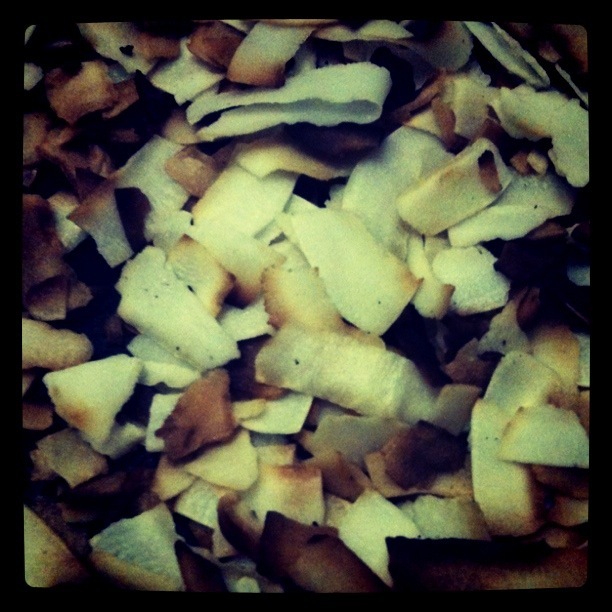 Set coconut aside in a bowl. Place the bananas on a sheet pan, broil for 2-3 mins on each side. On the BBQ, grill peel side up for 3 mins, then flip for another 2 mins. Serve with toasted coconut and some paleo ice cream!